Bitcoins are preferred by investors as a mode of payment and store of wealth. With the introduction of advance solutions integrated into phenomenal Blockchain algorithms, it is being hoped that cost of transactions while Bitcoin changes hand will be significantly reduced. The underlying characteristics of Bitcoin have prompted many large firms specifically in Japan to allow Bitcoin in exchange for their product and services with such acceptability across businesses and industries, Bitcoin prices will soar to new heights. Regulations have been enforced by government in their specific bitcoin future exchanges and this will hinder the usual investment as it will require businesses to identify their customer and also adhere to policies related to money laundering. The hectic process, in this case, to obtain Bitcoin from an exchange and thereafter transition to wallets will be time-consuming and might hinder exchange rates relatively. 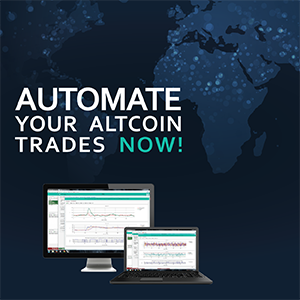 Usually, trader accounts are synchronized with investment companies and soon these traders will be using their funds to access bitcoin market. Volatility and speculative trend of Bitcoins can be analyzed from the fact that Howells in 2013 mined 7500 BTC and had the information stored on his hard drive. It wasn’t worth anything back then. But while renovation his hard drive misplaced ending up in the trash and thereby a lost treasure. With the passage of time bitcoins gain value and he kept struggling for his lost 7500 precious BTC’s. But all his efforts so far in vain and today that lost treasure cost million in dollars and will change a life of anyone who could redeem it. According to him, we had everything in our access but the digital currency was just a dream. Institutions like (Man group and Fidelity) are investing a lot of money in the market and this will consequently ignite the boom in the bitcoin market shortly. Like Howell, Draper was a keen enthusiast of bitcoin currency and earned a profit of $120 million. He was among those early investors who had faith in bitcoin’s future and its importance worldwide. He considers bitcoin a stability for the global economy. The strategic dynamics adopted to penetrate bitcoin market by institutions and traders alike will result in robust change. Bitcoins should be used to paying off debts rather than opting for debt to get more bitcoins that depict speculation power which involves risk. It’s all based on speculation of investors and at the moment its rising high. Recently bitcoins have crossed $17000, it was at $10,000 by end of November and several exchanges quoting price up to $20,000. So, anyone planning to invest must be ready to lose as well. Novogratz is of the opinion that, the total valuation of digital currencies will eventually cross $2tillion mark by end of 2018. As he is very optimistic about the bright prospects of Digital currency, he is coming up with $500 million funds created to attract the pool of investors who are showering money into virtual assets. Asia has led the gains in Bitcoins, with 62% stake of Japanese yen in Bitcoin overall market volume. Followed by, US Dollar at 21% and 9% of total Bitcoin trading by South Korea. When you buy Bitcoins no supply mechanism is triggered by it making it very distinct from other assets. Speculators take acute advances from here by inflating all the moves made in trading. When something is traded in a market, there always lies provision for supply and market forces mitigate the trends by numerous actions. In case of cryptocurrencies, 21 million coins are the maximum limit, again fuelling speculation. • His fortune comprises of around 30% of digital currencies and they include, Ethereum and Bitcoins. He recommends the investment to put not more than 3% in such currencies as they are highly speculative and if you are affluent don’t put more than 10%. Be the first to comment on "Why Does Bitcoin Value Fluctuate & What Determines Bitcoin Price"